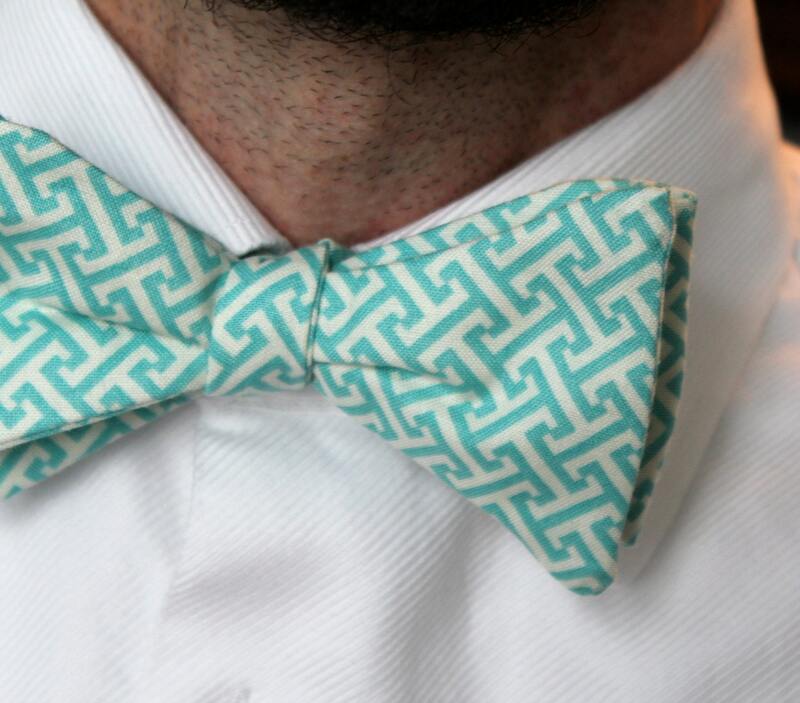 Stunning bow tie in rich turquoise blue Greek keys. Perfect for a wedding. 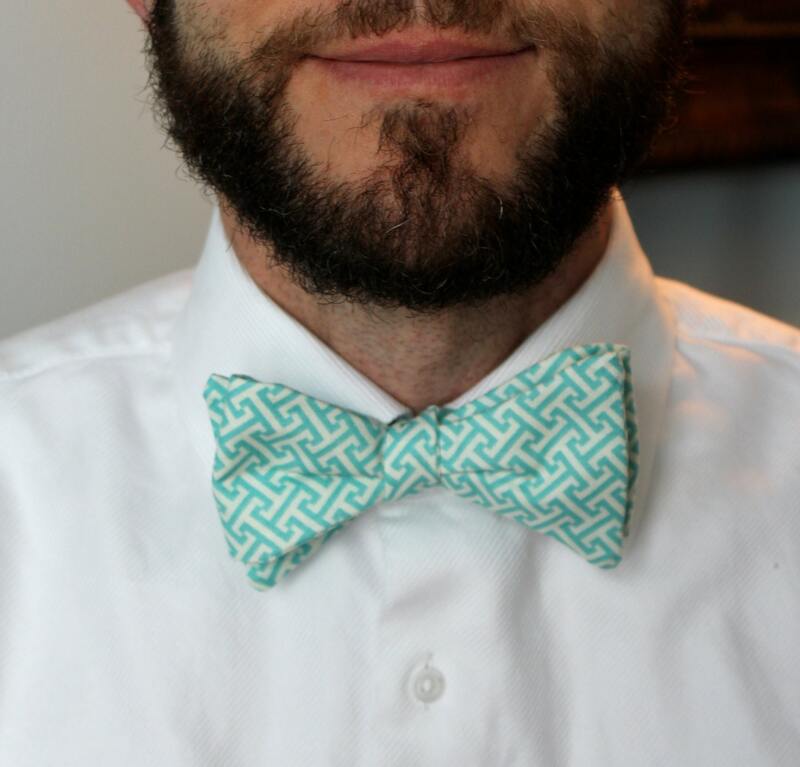 This bow tie is also great for photography, Easter, Church or any special occasion. Individually hand made out of top quality designer cotton. Available as a clip on, pre-tied adjustable strap or self tying. 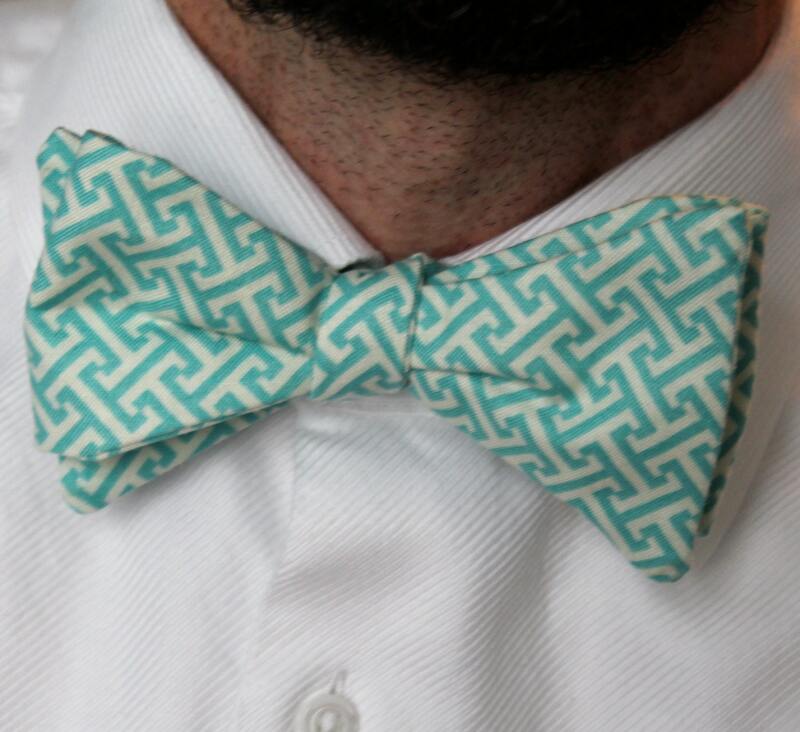 Coordinating men's traditional ties and boys bow ties are also available.